The Best CRM Blog: CRM Tips: How to Improve Your Email Marketing with These 8 Best Practices? CRM Tips: How to Improve Your Email Marketing with These 8 Best Practices? How can we increase our email campaign conversion rates? How can we increase the click through rates of our email marketing program? These are some of the challenging questions companies face while planning out their digital email campaigns. 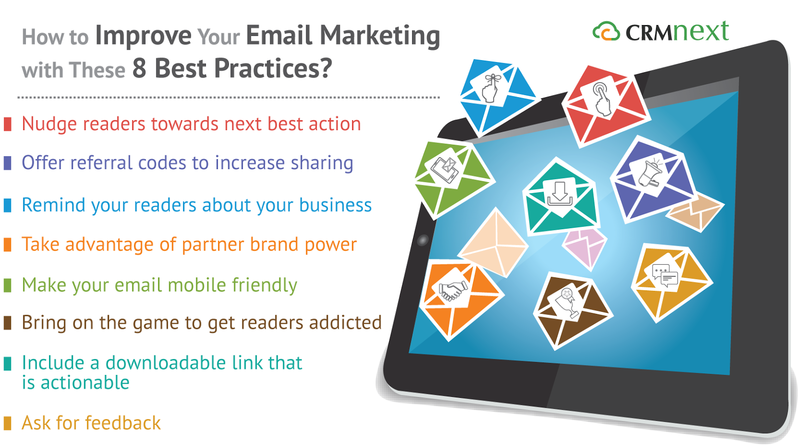 Here are eight best practices that will help you succeed in your email marketing campaign. Email marketing is designed to encourage register to take action like signing up, clicking 'buy now' etc. However, there is no imaginary ghost whisperer to persuade them to undertake such actions. You need to pepper your email with content that nudge the readers towards clicking that sign up/buy/create button. A. Suppose you organize an after season sale. Inform the reader about the date, time and other details, hyperlink the registration link at the end by saying “Click here to register for fabulous sale discounts”. Teach customers that sharing is rewarding. Customers love discounts and referral codes are considered the ultimate offering as it satisfies the holy troika of referrer, the referee and your company. Referrals are a tried and tested method and studies show that readers trust referral mails more than straightforward ads. 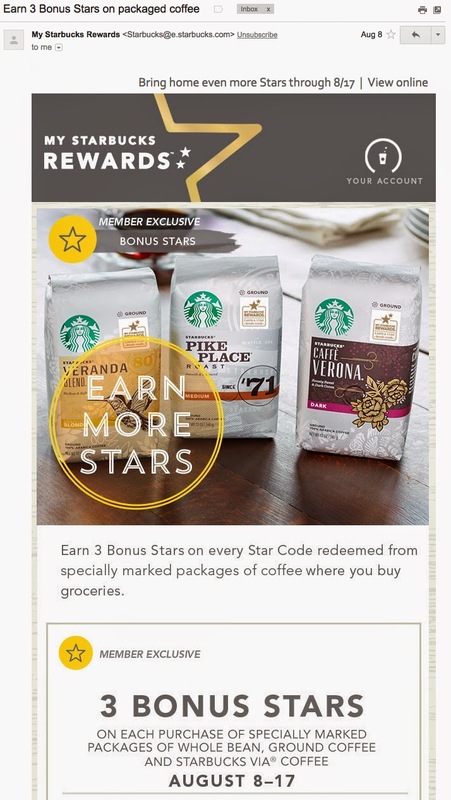 Adding a referral code at the end of an email campaign acts as a perfect motivator for readers to take action and share. Thousands of brands including your competitors bombard people with mail campaigns. In the midst of this entire din, it is foolish to expect every reader to remember what your business is. Thus, it is important to remind the readers what your business stands for in every mail. Include a link to the About the Company Section at the end of every email. The golden rule of making your email all devices friendly is ignored by many companies. According to one statistics, Readers (Up to 70%) delete an email if it doesn't render properly. Ensure that your email format, spacing and most important, images, as they are supposed to across desktop, mobile and tabs. Using the online HTML editor available in your CRM software, ensure to put proper font size, line spacing, hyperlinks and test it out for proper dimensions in every device. There is a reason why video games are addictive. The whole scheme of games, its winnings and rewards encourage players towards achieving their milestones. You can use the CRM gamification concept to turn email reading behavior into an enjoyable habit. Got any interesting collateral/ white paper to share? Include it in the email as a downloadable link. Your readers will love the fact that they are getting more information from one email. Thus, your email will not only be stylish but will act as a utility for information. You can include lines like ‘Download our banking brochure that saves your money’ or ‘Get free eBook on how you can multiply your growth’ etc. Every marketer thinks his email is the perfect one. Confirm this by asking for feedback in every email. By getting feedback in the form of ratings, you will come to know if readers love your email or whether you need to tweak it to make it better. Or “How satisfied are you with our service?” or “Would you refer us to your connections?” etc. Creating survey is easier (and faster) with CRMNEXT Email Marketing module. Get the maximum share out of your readers money, attention and time by following the above 8 practices with the help of a CRM marketing automation software.